He is a graduate of the University of California at Berkeley, where he earned his B.A. in Music in 1965 and his M.A. in Musicology in 1967. He later went on to earn his D.M.A. in Composition from Cornell University in 1973 and his M.M. in Vocal Pedagogy from University of New York at Potsdam in 1978. Bob has more than 33 years of experience in the financial services industry. He has worked with Prudential Financial, Allmerica Financial, Nationwide Financial, Guardian/Berkshire, and Penn Mutual Life, and has represented several other companies as well. He received numerous awards from Prudential, Allmerica, and Nationwide while working with them. He is a former member of the MDRT, a former board member of NAIFA Southern Maine, and is currently a member of both NAIFA (National Association of Insurance and Financial Advisors) Maine and the SFSP (Society of Financial Services Professionals) Maine Chapter. Bob serves as an Ambassador of the Southern Midcoast Maine Chamber, and has served as a volunteer, committee member, and Corporator at Sweetser. 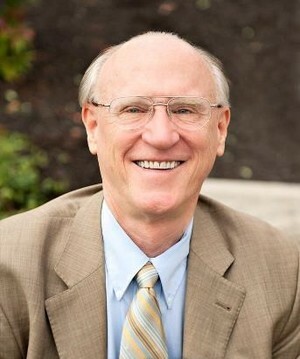 He has been active in church music ministry for more than 50 years, has served as organist and pianist at Midcoast Presbyterian Church in Topsham, Maine, and currently serves as one of the worship accompanists at TNT Bible Church in Topsham, Maine. Bob was born in Los Angeles, California. He and his wife Jacqui currently live in Topsham, Maine. They have two sons, Christopher and Alex, and three daughters, Dodi, Shelby, and Becky. They also have nine grandchildren.